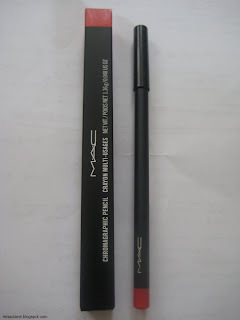 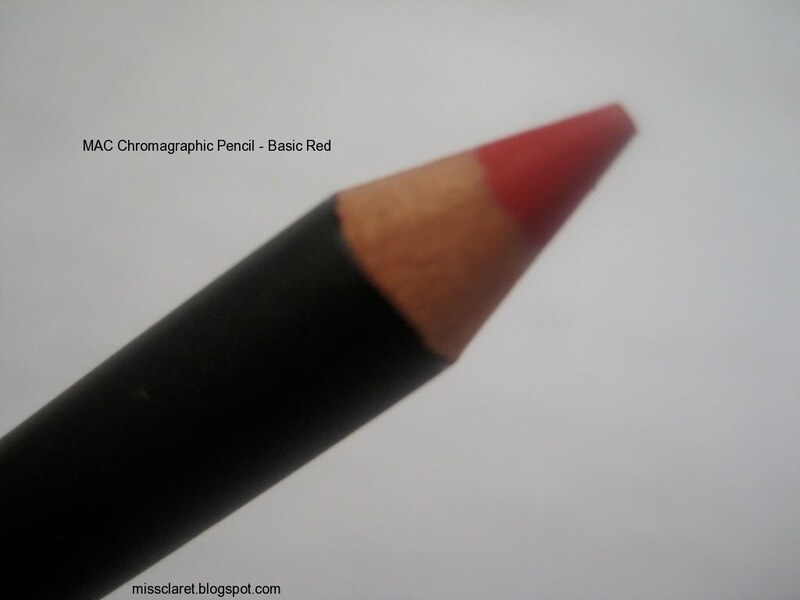 I found this Chromagraphic pencil at MAC's concept store in London. 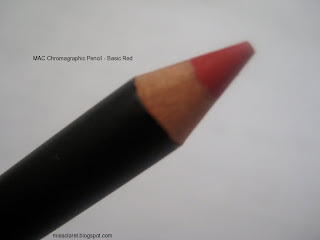 This pro store exclusive pencil / crayon is 'multi use' and can be used anywhere - it is amazing. 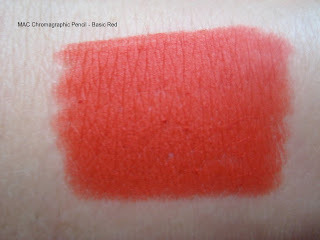 The consistency is creamy and very easy to blend. I found it incredibly long wearing and if worn on the lips, can be applied alone to create an instant matte lipstick. 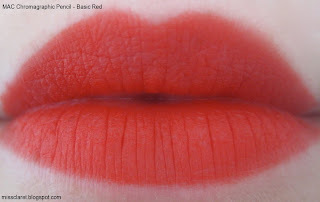 The colour is a bright tomato red with a slight poppy or orange undertone - I love it!